The delivered FlexorSet is a multichannel, high-speed data converter and is suitable for connection to the HF or IF ports of a communications or radar system. The built-in data capture and generator features a Gen. 3 x8 PCIe interface to make them turnkey solutions. 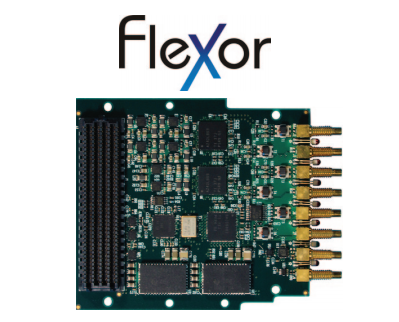 For additional information on the Flexor® line of FMC analog modules and OnyxFX™ FMC carrier boards, download the product brochure (page 7).